Despite the almost absolute absence of posts during most of last year, I have been just as connected to the beer world as in previous years. That has allowed me to continue visiting places and talking with people, exchange opinions and experiences, drink lots of interesting beer and, of course, reflect on the industry, its direction and the evolution of our local scene. The previous one has been a very complete year; full of everything. It is for this exact reason that I chose to start posting in 2017 with a review of all those events and trends we have witnessed. Which at the very least will make us remember 2016 as a significant year. "Consumers enjoy a better quality and variety on their glasses; in the long run we will better assess what this concentration means for the industry"
Farewell to the negationist speeches. The growth of craft beer not only tickles the large groups of the brewing industry, but it also stings them. We have had an entertaining year reading recurrent press releases, general media and economic press that informed us of the new corporate operation in the brewing industry. No operation exceeds the one that, after being announced in late 2015, took effect in October 2016: AB-InBev acquires SAB Miller, or how the biggest fish eats the second in line. But it has not been the only move at all, as MillerCoors - 100% controlled by Molson Coors after the ABI-SAB operation - has increased its control over Terrapin, while also buying Hop Valley and Revolver. Cigar City has sold part of its shares to Fireman Capital Partners, which already controls Oskar Blues; And the holding company Ulysses Management has acquired the majority of Victory Brewing Co, after already taking control of Southern Tier in 2014. Lagunitas - part of the Heineken Group since 2015 - has also acquired some small local breweries. Oh yes, and one of the large Asian groups, Kirin, acquired 24.5% of the Brooklyn Brewery - which, by not exceeding the Brewers Association's threshold of independence, is still considered as a craft brewery in the States. In Europe, AB In-Bev has also called the shots. After eating the Christmas pudding of 2015 with the news of the acquisition of Camden Town, earlier this year Birra del Borgo announced that it would also be acquired by the Belgian giant. Also Bosteels, known among others for their Tripel Karmeliet, Kwak or Deus, would be bought half a year later. Pilsner Urquell and four other European breweries belonging to AB In-Bev and are now part of the Asian brewing group Asahi, seemingly for competitive reasons. Buyouts have also hit our scene. 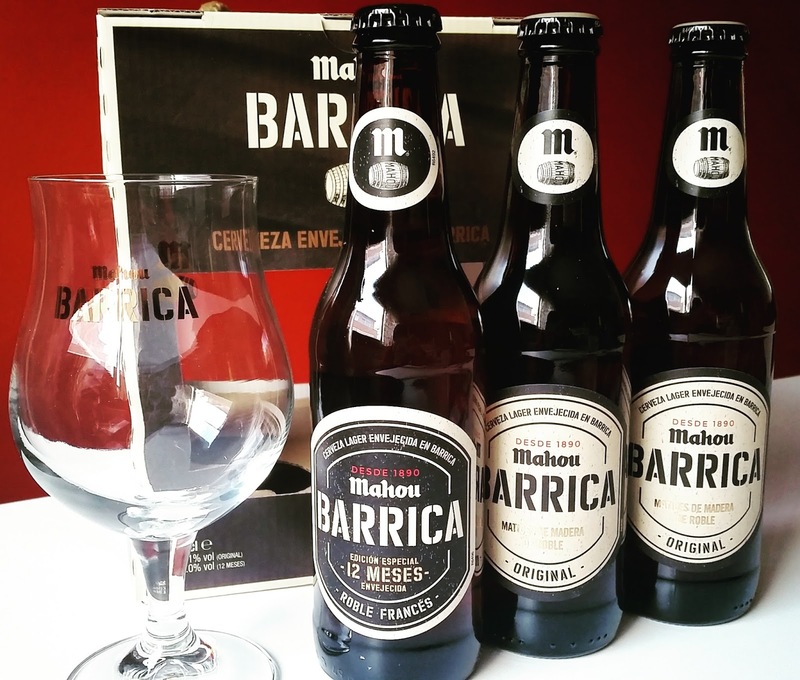 After buying a 30% stake in Founders, Grupo Mahou-San Miguel has acquired up to a 40% of shares of Nómada Brewing Co. And just like other widely-available brands have released new products such as Mahou Maestra, or two varieties of a barrel aged Lager called Mahou Barrica. 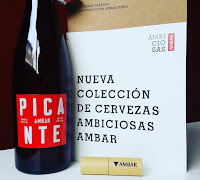 Indeed, we have seen lots of similarly targeted releases this year: Amstel Fresca, Cruzcampo Fresca, the 'Ambiciosas' series of Ámbar, the limited editions of Fàbrica Moritz - Red IPA, Blat, Negra - all kinds of new Radlers and also many gluten-free beers . To all this we could add a new commercial push in the bars with Estrella Galicia de Bodega, which has certainly improved the beer offer in many of our bars. Let's not forget that in 2015 this meant that Madrid sadly lost its oldest brewpub -Naturbier-, though. Moritz has also launched its 'ArteFans' campaign, linking its brand to the support of local craft breweries, with several collaborations. Time will tell where all these changes lead. I have always maintained that, in the end, by now the consumer is winning. At least here in Barcelona, the standard of quality and conservation, as well as the range of available options, has clearly risen in recent times. Wherever they come from, we have more and better products within our reach. We will see, however, what this global and local concentration means in terms of distribution, purchase of raw materials and other key aspects for the brewing and marketing of beer. CAMRA Revitalisation Project... piano, piano. 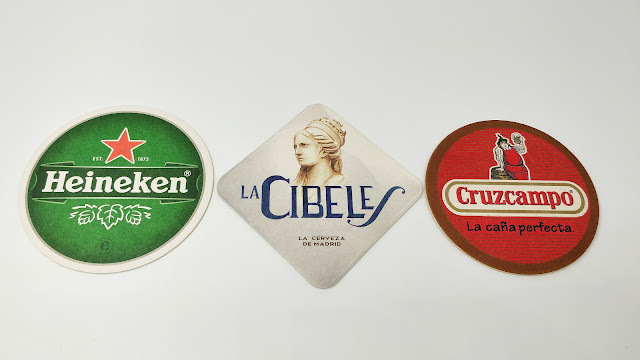 And when it seems that the never-clear definition of craft brewer becomes even more opaque with all these buyouts -which, for now, change little more than ownership of shares in brewing companies- in Spain the Government published the Royal Decree 678/2016 of 16 December, which approves the quality standard of beer and malt drinks. It of course includes a definition of ‘craft brewing’, that leaves everyone happy. Or not to everyone. Well, at least those who have effectively lobbied for it to be published with enough flexibility to leave an open door to ride the 'craft' wave if it suits. Soon I will analyse this new law and its implications for the industry here in the blog, to delve into more detail. There’s certainly lots of staff to comment. Enough law. Perhaps it is not something new, but during the previous year I have had the sensation that the people in our local scene has slowly begun to internalise and use in slang the theoretical distinction between industrial, craft and traditional beer. And I literraly say ‘craft’ with each letter, not artisanal -artesana-. It seems we have a new challenger, an Anglicism that by contagion from other countries is willing to dispute the hegemony to the term 'artisanal'. I am sure that part of it is because of the use of the term in marketing by several of our most international brewers. Although I have always liked to speak generically of 'beer', or use terms like 'alternative beer' or ‘microbrewed beer’, I have to admit that over time I have reconciled with this inaccurate terminology that labels certain concepts. The differentiation between craft and traditional -which one would guess it is of Anglo-Saxon origin- somehow manages to avoid the craft vs industrial duopoly. White vs black. Good vs bad. Besides, it solves the existential doubt to those who cannot sleep until they have figured out whether Chimay is craft or not. Good thing, then. And speaking of traditional... In all this scenario of changes and immediacy, a traditional and traditionalist body like CAMRA struggles, especially with itself, to maintain a position of influence in the industry from the side of the consumers. That’s mainly due to the emergency and rapid expansion of craft kegs. The brewing industry progresses at a dizzying pace, and after the launch of the CAMRA Revitalisation Project in 2016 the final decision on the course to be taken by the organisation has been postponed until the Coventry conference in 2018. In the world of immediacy and Twitter, it is a shame that CAMRA still looks like a 20th century organisation. La Pirata’s tap room, in Súria. Conveniently close to my home. Brands' own points of sale are expanding around the world. It's not something new, of course. If we use the above-mentioned terminology, several industrial and traditional brands have been using this model for years. But we could talk about a relatively new and continually growing phenomenon among craft breweries. California is a fine example. Last week I was told by two locals who are an active part of the scene over there that regional breweries have begun to look for and launch their own outlets for some time, in an increasingly pronounced trend before a growing competition. In addition, the number of brewpubs and taprooms around the world is clearly increasing. Locally, in Barcelona we already had the Brewdog’s and Mikkeller’s bars, as well as some brewpubs. In 2016 we have seen new establishments with their own production; even bars like the one owned by the Barcelona Beer Company, or Grasshopper – a Ramen bar that exclusively taps BeerCat. Likewise, taprooms have proliferated all over the country. I still can remember how it seemed like an occurrence when Edge Brewing opened theirs in Poblenou, back in 2014. Three years later, several brewers have followed their example. No wonder: if you want to invest you need money; and viability. And the generous margins that can be provided by a point of sale for your own products are extremely attractive. That’s why we will see more brewpubs, more taprooms, and more bars exclusively serving the beer of certain breweries. We will even see new breweries directly linked to existing bars. Outstanding. 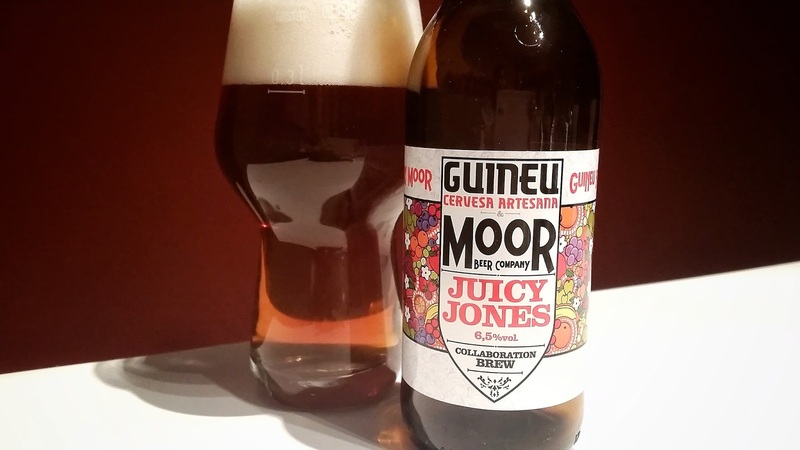 Collaboration brew between Guineu & Moor: an IPA with mango and passion fruit. As for beer itself, IPAs - or, rather, the term 'IPA' – keep fit and continue to reinvent. If two years before the big hit were the - in my opinion – ridiculously-called Session IPAs, in 2016 we have seen how they have been thrown all kinds of fruit. 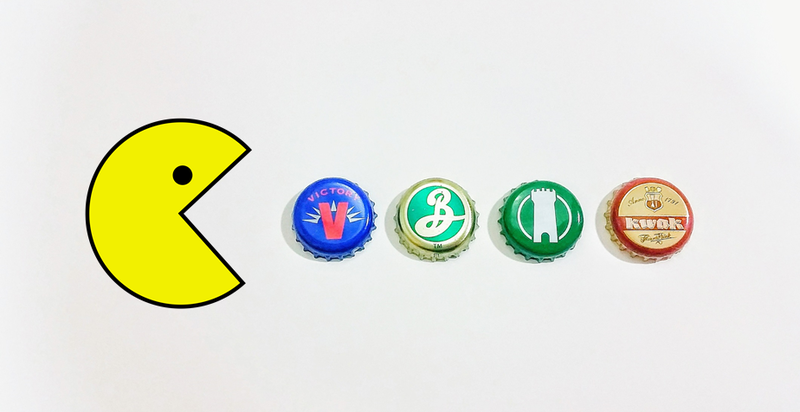 Both IPAs and other trendy styles, such as Saisons, or even Goses. Because this has also been the year of Goses: it seems that a beer bar seems can no longer afford not to have at least one of these beers of German origin on offer. Or rather, one of the interpretations that the craft industry has made of the original style. Looking on the bright side, to those like me who like the well-administered fruit in recipes, and / or to find sour hints in beer, it has been a very good year. Right now we have all kinds of sour beers on offer: from the classic to the contemporary. Sourness in beer gets popular and begins to be known, and liked, by a part of the general public. But it’s not all. After years of consumer complaints and efforts to clarify beers by the brewers, all of a sudden the latest fashion are hazy IPAs. Write down the name they bear, in case you are still not aware: New England IPA. If you do not know what they are, or you have not tried at least a hundred different, you are a nobody. These new trends have arrived to us much less intensely than in other countries, where the craft brewing scene has developed further. But think about it: at first we did not even know about trends; then we had to move to experience them, or wait for them to arrive. Now they arrive without much delay: what is the next step? In a few years we may be able to set new trends, who knows. And if we talk about trends, we should not ignore the packaging. Cans have also experienced a year of significant expansion, with many breweries from all over investing in machinery to offer canned beers. 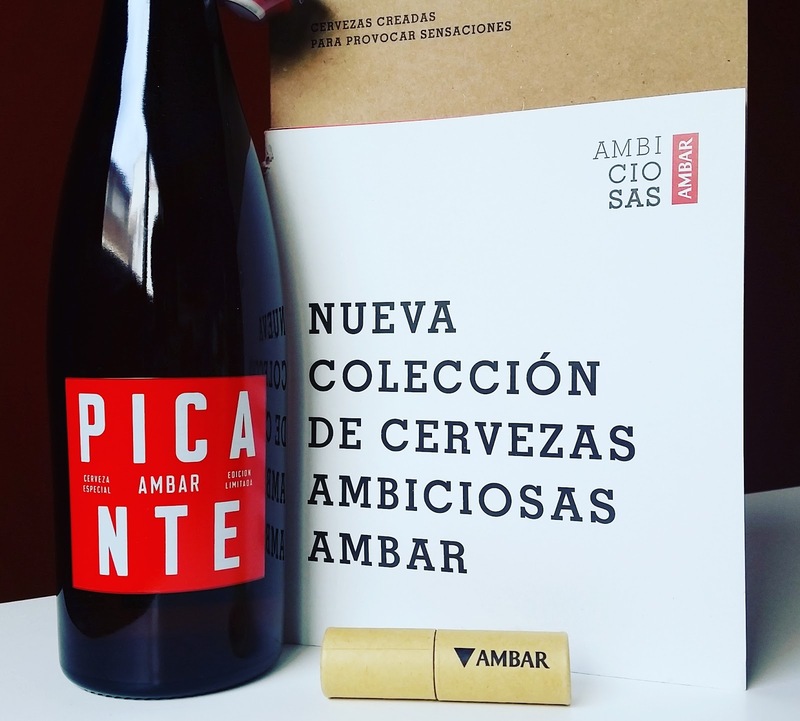 Even in Spain, Arriaca surprised everyone in March when they presented the first 3 cans of craft beer from the Iberian Peninsula. It is also worth mentioning that the scarce presence of cans in our local stores has been replaced by a significant amount of different references. 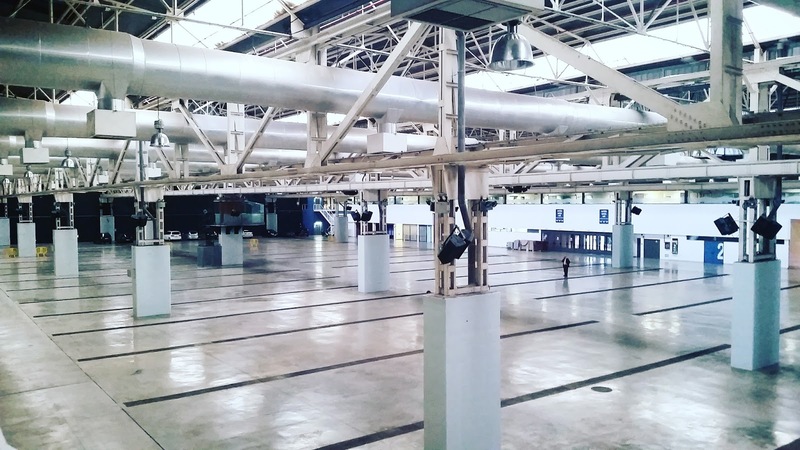 NaparBCN, one of the notable new places of 2016 in Barcelona. Barcelona, which in my opinion was definitely established as an international beer destination in 2015, continues to grow in quality and quantity of places, options and events, receiving an increasing number of tourists with beer-related purposes. This fact is supported by some of the attendance numbers we have from the Barcelona Beer Festival, but I will refer you to the best possible proof: the empirical. Any day you feel like it, walk into any beer bar in town and watch around you: it will not be too hard to find foreign beer geeks. Believe me that they are easy to spot. For its part, Madrid has taken off in 2016. Between 2011 and 2012 there was that first push that served to capture and join some hundred of great beer enthusiast. But especially these last two years the city has grown strong with the addition of a good number of new establishments and exciting projects. 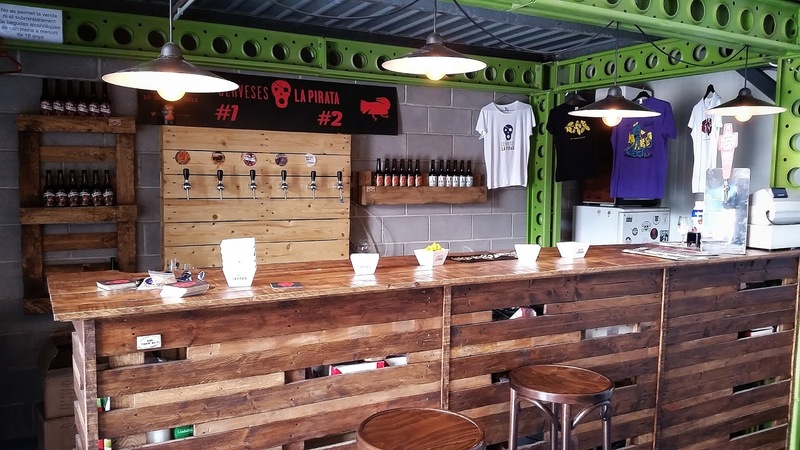 These new businesses make one predict a growth of interest by the wide public, who has for many years enjoyed their leisure time with their caña -a small size of generally cheap beer on tap- and their tapa. Therefore hindering the penetration with a new product that tastes quite different, and which is more expensive. As a final note, and as a blogger, I would like to highlight the growing lack of influence of blogs, to the point that we have ceased to have the collective local relevance we had some time ago as a tool for dissemination and meeting. The fact that, in most cases, we are talking about these blogs as a personal hobby, and the fact that the sector has been quickly professionalising, has diverted the attention to general media. These may have less knowledge, but they now carry the weight in the diffusion of novelties and trends of the industry. Even when they screw up. Please excuse my spam... but that’s where a remarkable event will take place in 2017. Speaking with people and reading specialised media, it seems that there is no place in the world where new breweries are not increasing in numbers. Sure enough, in every of these place somebody must have spoken of a brewing bubble, and many observers are still incredulous to see that new businesses are being launched. But it is time to face reality, which seems to indicate that there is still much more to come. 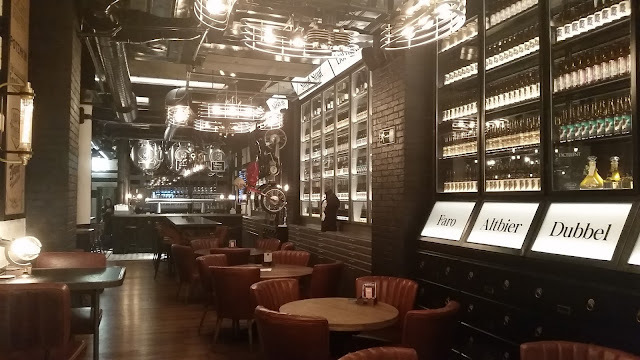 Just look at the growing interest of restaurants in beer, and the countless number of news and stories that recurrently hit the pages of press. I do not expect a change in this pattern during 2017. In contrast to this growth, some businesses will have to close, as it has been happening for years in other brewing scenes, and recently here as well. In such a dynamic reality, the older businesses suffer in front of the new ones. Not only because of their novelty, but also because the former were born after a nowadays totally obsolete market analysis, which in its moment may have led to a more conservative investment, back when was green: with more hopes than guarantees of an eventual success. One of the things that, at least locally, 2017 will certainly bring us are new breweries and bars, apart from additional investment in existing businesses for their adaptation and improvement. Only in Barcelona city, as far as I know, there are 6 new breweries coming - including brewpubs - with a more than remarkable investment to back them. Likewise, one can expect that the sector will keep on following the path of professionalisation it has taken, working with diffenret specialists from other branches and industries to carry out tasks that a brewer should never do - e.g. how many labels have dramatically improved in a short time-. Training of staff and experience will also be on the rise, through educational resources, collaborations and exchanges, as it has been happening for a long time. Beyond what has already been pointed out, I would be speculating too far. And I am not willing to go there. So that’s my beer summary of 2016, which I hope was interesting for you. Let me wish you lots of good beer for 2017. 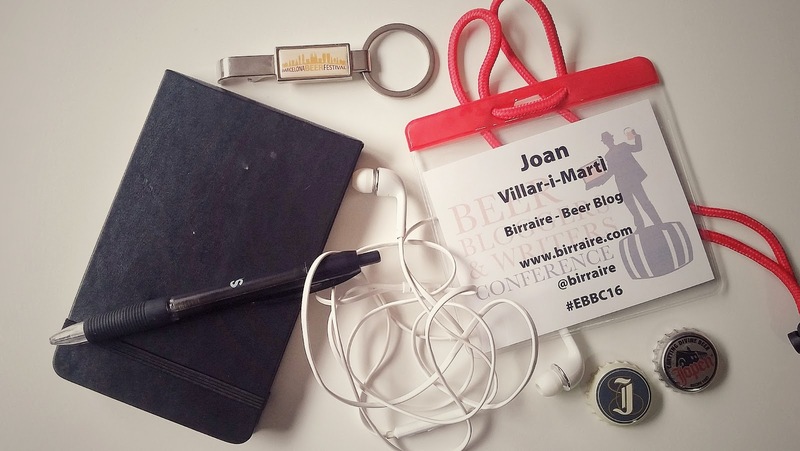 Nice post Joan, especially the comment about spotting foreign beer-geeks in Barcelona! I’m not sure if I can make this year’s festival, but will keep you posted, if things change. You are right in some ways about blogging losing its influence, and I would agree that many blogs, mine included, are written as a hobby. They can still provide some influence though, so this is not an excuse to stop blogging. Thanks for dropping a comment, Paul. I hope you can make it this year: as you might already know we change the venue for a bigger place. It's an important year for the Festival and we are planning some exciting stuff! About the comment on blogs and its relevance, please note that it is written under the "Meanwhile, in the Iberian Peninsula..." headline. Which means I'm talking about blogs down here, that used to be quite important. I do not have the knowledge (maybe just the feeling) whether this is true elsewhere or not. I agree with you that blogs can still provide influence even when they are just written as a hobby, but that's exactly what has ceased to happen in our beer scene. Newspapers and 'trendy magazines' have now taken the lead, even when they publish rubbish more than often when they talk about beer. I wish you all the best for 2017 too. Take care, mate.